The RE Store and Boundary Bay Brewery announce Rockin’ for The RE Store, a benefit concert, raffle, and auction to support The RE Store’s Community Jobs Training program. This free for all-ages event will be held on Friday, May 19th from 5:30–10:00pm in Boundary Bay’s outdoor beer garden. 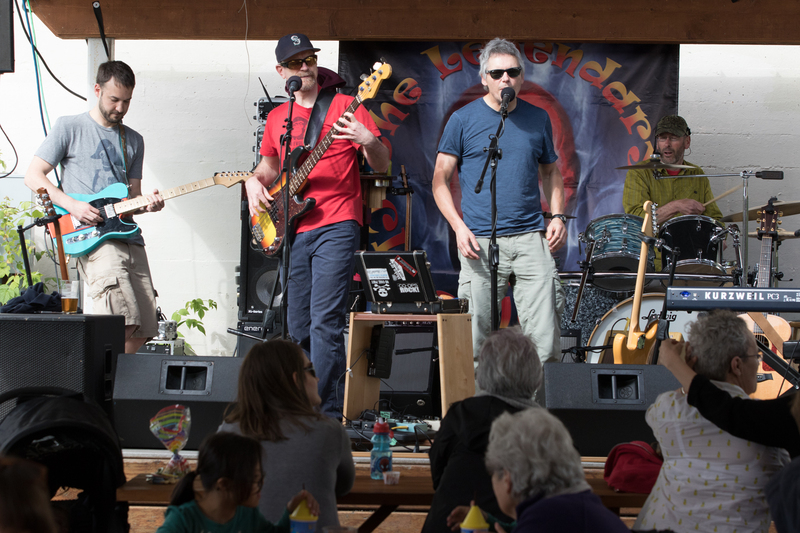 The event includes live music from The Legendary Chucklenuts and High Mountain Stringband, an informal auction with incredible items donated by generous local businesses, and a raffle of big prizes totaling over $4,000! All proceeds from the evening go to support The RE Store’s efforts to combat joblessness in Whatcom County. Raffle prizes include dinner and lodging for two at The Willows Inn on Lummi Island, a fully loaded Dr. Dew bike from Kona Bike shop and a double date spa package from The Chrysalis Inn & Spa, and a Taylor guitar and lesson package from Mojo Music Discount. Raffle tickets are $5 and can be purchased at The RE Store on Meridian and Broadway St starting in April. The RE Store Community Jobs Training Program works with local agencies and nonprofits to provide low-income individuals with the skills necessary to gain long-term, meaningful employment. Through one-on-one coaching and a comprehensive curriculum, trainees learn on-the-job skills, build their resumes, improve their confidence in interviews, and receive skill-based certifications. The Rockin’ event will support The RE Store’s goals to triple their impact by increasing the amount of displace workers they can train, and offering a wider set of professional development skills. For more information about the event or the Community Jobs program, visit rockinfortherestore.com or call (360) 647-5921.